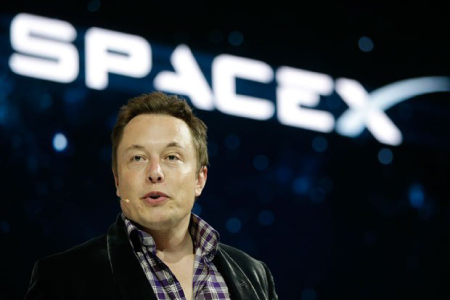 This past Sunday, June 28th, a Falcon9 rocket built by SpaceX exploded 139 seconds after liftoff from Cape Canaveral. 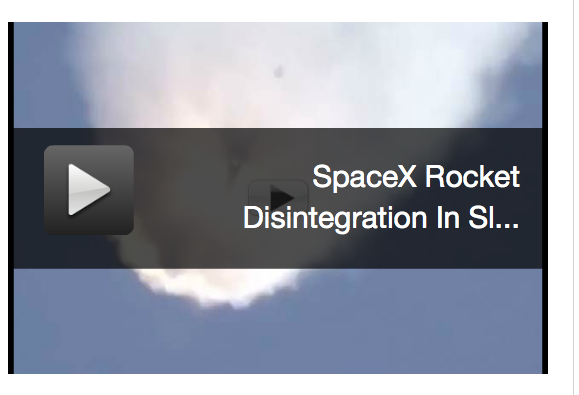 It was an unmanned resupply mission carrying the SpaceX Dragon capsule and 4,000 pounds of cargo. 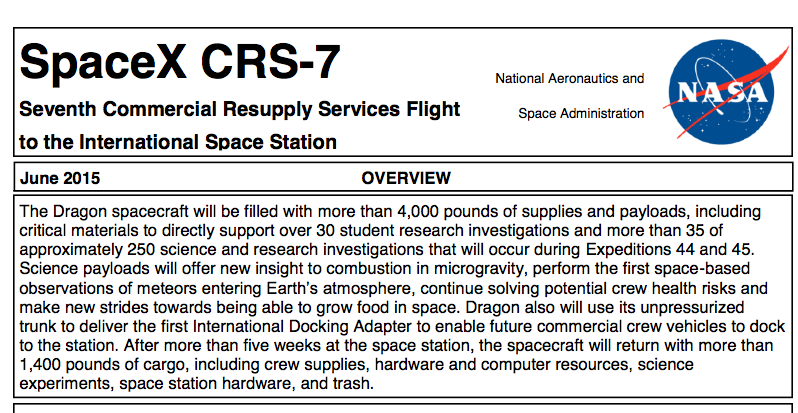 NASA has contracted with commercial companies and this was the seventh of 12 pre-purchased SpaceX commercial resupply missions (hence CRS-7) to the International Space Station that cost NASA $133 million. One of the intended experiments was to measure the telomeres of astronauts in response to prolonged exposure to conditions in space. Unlike some other research,that experiment wasn’t lost because it only involved drawing some tubes of blood presumably. The adverse health consequences of humans living in space is an interesting subject but they center around spiritual/psychological loss of energy (asthenization- fatigue, listlessnes, psychosomatic worries), radiation (difficult to measure), and microgravitation which leads to plasma redistribution, weakened circulatory health, bone loss, and muscle atrophy. What is my guess as to the effects of living in space upon telomeres? Not good. Think of that existence as a combination of the lack of privacy of a President of the USA or a chimpanzee in a city zoo. I would think that the Lokahi or balanced flow required to be a holistically-healing human is not served by being physically separate from mother earth and her magnetic fields, and the normal cues of a socially integrated yet private human existence. The kind of life that makes those telomeres heal faster is known to all of us. It is that condition of being slightly overstuffed with spicy tacos and a margarita, whilst sinking deeply into the gravity well known as a hammock, as the breeze carries past the sounds of tropical music and the smells of suntan oil and fresh fruits and flowers.